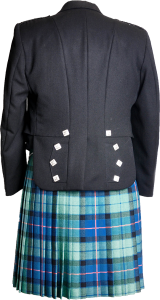 Prince Charlie Jacket – This jacket is typically worn with the 3-button vest and is perfect for your formal occasion or formal event. 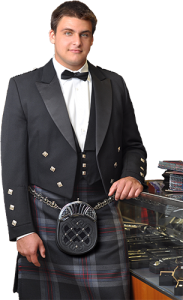 This formal and timelessly stylish garment is the last word in sophisticated highland dress. Cut slightly higher than other jackets, the Prince Charlie is designed to flatter any shape whilst keeping the full length of kilt on display. 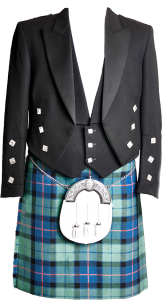 Argyll Jacket – This garment is typically worn with the 5-button vest and is a less formal look than the Prince Charlie. 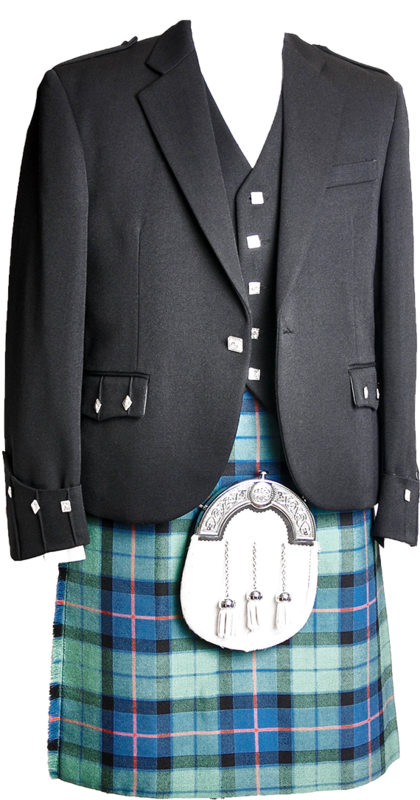 This jacket can easily alter its formality, for either day or evening wear, and it looks great on men of all shapes and sizes.